How do the big ideas behind one project translate to the unique circumstances of a different location? The team that brought the Buffalo Bayou back to the people and City of Houston won their next riverfront project – in Fort Wayne, Indiana. 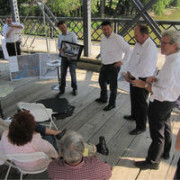 Taking the final interview to a bridge over the river itself, and focusing on what they learned about riverfront redevelopment in Houston, the team will adapt the principles they developed for the Bayou to Fort Wayne’s Riverfront. Phase two development of Buffalo Bayou is in full swing with the construction of a new pedestrian bridge. Want to check out the performance metrics of the Bayou for yourself? A new case study of the Buffalo Bayou Promenade has been published to the Landscape Architecture Foundation’s award-winning Landscape Performance Series! 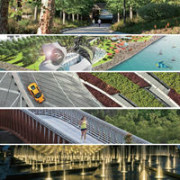 This unique online database includes over 60 exemplary landscape projects with quantified environmental, economic, and social benefits. The impact of the Buffalo Bayou Promenade was assessed and documented through LAF’s innovative Case Study Investigation (CSI) program, a unique research collaboration among faculty researchers, designers, and students. The new headquarters for Samsung SSI (America) in San Jose is a bold vision for a campus and a workplace that values interaction and synerg, building a culture and brand that is powered by the best ideas and talent. Harmonizing with the architectural expression of iconic buildings and inspired by the symbolic landscape feature of the San Jose “Guadalupe River,” SWA’s Los Angeles office proposed a signature landscape band throughout the site. Fields of hardscape, softscape, and water features will flow along the band. As it meanders along, the character of outdoor space will morph from urban to naturalistic. 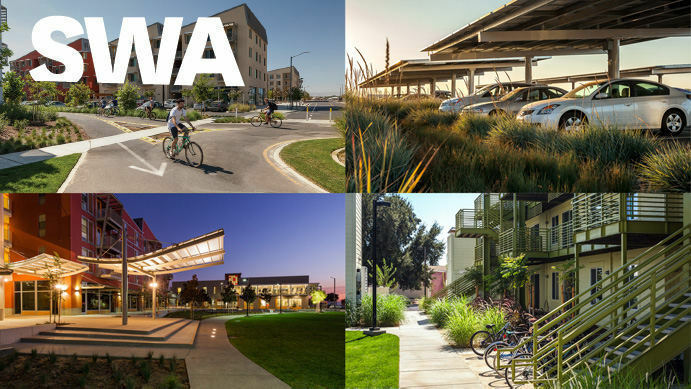 San Antonio Station is a landscape and architecture retrofit project that will transform an introverted site into an open, connected, and flexible campus landscape. Named after its proximity to a Caltrain station, the property boasts 500,000 square feet of ready built office space in the heart of Silicon Valley, and is only 45 minutes from San Francisco by train. The design for San Antonio Station is being developed with the intent that the space will be occupied by one or more tech companies upon completion. 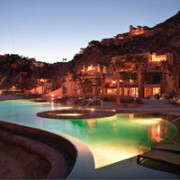 At #41, Capella Pedregal makes Travel + Leisure’s “Best Hotels in the World Top 50” list (up from #57 in 2012) and is #2 on the “Top Resorts in Mexico” list. To reach this unique luxury hotel and residential resort, guests pass through a 300-meter tunnel carved through the solid granite Pedregal Mountain. SWA’s sensitive site design nestles the project onto the terrain, providing expansive views and a grotto-style pool that cascades down to the beach. Each guest in the resort’s 66-room all-suite hotel enjoys patios that open to a personal pool and striking ocean vistas. The 29 private residence club units and 18 whole-ownership residences create an upscale, luxurious experience with extensive water and landscape features. The desert palette of exotic and beautiful plants inspires the landscape design and helps to integrate this five-star resort into its isolated beachfront site. 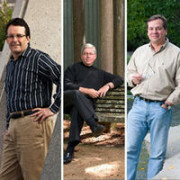 Chuck McDaniel, Scott Slaney, and David Thompson were elected Fellows of the American Society of Landscape Architects (FASLA). Chuck McDaniel is the managing principal of the Dallas office and is internationally recognized for his resort and hospitality projects. His professional accomplishments include dozens of design awards, mentoring of young professionals, design collaborations with allied professionals, international publication, and service to the design community. 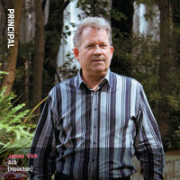 Scott Slaney’s 35 years of private practice, volunteerism, writing, speaking, and teaching demonstrates the real value of the profession through landscape architectural, urban design, and planning solutions that balance environmental, social, and economic needs and create beautiful environments. David Thompson is a premier designer with an awards portfolio that spans four decades. With exceptional versatility he understands a site’s context and can coordinate living systems, vehicular networks, architecture, and human activity in ways that are artful and distinct and that improve over time. David is the managing principal of the Shanghai office. How are cities rethinking the pedestrian realm? 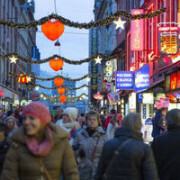 SWA President, Gerdo Aquino, discusses the efforts of cities that are using innovative approaches to create pedestrian environments for their citizens and visitors in his essay “Returning Streets to the People” featured on the Metropolis blog. In practice, Gerdo and his LA office team’s Milton Street Park project, featured on World Landscape Architect, is a proposal driven by community input for a 1.2-acre linear park along Los Angeles’ Ballona Creek Bike path. 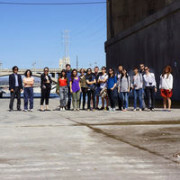 Our Los Angeles studio hosted this year’s Summer Student Program that challenged 7 international students with exploring alternative futures for the infamous L.A. River. 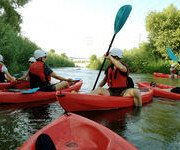 City officials and representatives from the U.S. Army Corps of Engineers also participated in various activities ranging from a kayak tour of the river to formal pin-up reviews and discussion. Garnering much press, the student’s work can be seen featured in the Architects Newspaper Blog, on Archinect, Curbed-LA, and local station KCET. Gerdo Aquino and Ying-Yu have been invited to teach option studio at the Harvard Graduate School of Design this fall joining OMA, Zaha Hadid and a host of other visiting faculty in offering studios to a student population of over 700. Titled, Building SOFT: “A New [Landscape] Infrastructure for Los Angeles” the studio seeks to explore 14 sites along the LA River that enhance and provide opportunities for natural systems integration, bicycle paths, access, open space and development. 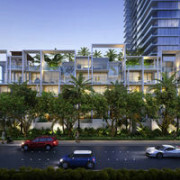 “A’eo” will be Honolulu’s newest mixed-use tower on the iconic Ala Moana Boulevard. Named for a slender shorebird endemic to Hawaii, the project includes a residential high-rise, ground floor retail and private townhome villas. As part of the Victoria Ward Development, the landscape design features a prominent terraced water element that surrounds the lobby arrival court, making the tower appear to emerge from an intertidal reef. 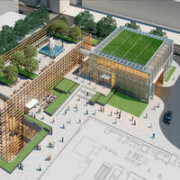 Other landscape amenities include a rooftop recreation deck design, private villa gardens and pools, a retail plaza and public realm landscaping along three streets that border the site. 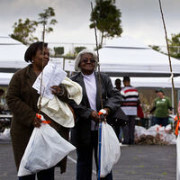 The proposed project received approval from the Hawaii Community Development Authority in August and is scheduled to begin construction in 2014. Construction grading has begun at Rancho Mission Viejo Planning Area Two (PA-2); the development is slated for completion in 2015 with SWA’s Laguna Office serving as the master planners for the project. Embraced by open space, canyons, creeks, pastures and orchards, Rancho Mission Viejo’s PA-2 is conceived as a hill town composed of multiple village districts, blessed with commanding territorial views, miles of trails and built to serve an ageless array of homeowners. Based upon a connection to healthy living and the environment, PA-2 sensitively re-shapes the character of the natural landform and captures the spirit of the coastal hills. 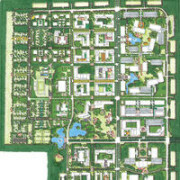 At 865 acres, the community integrates open space, residential neighborhoods and retail into a town enhanced and accentuated by extensive pedestrian trails and unique recreational spaces. How do you build a city inside the second tallest building in the world? Fast Company looks at the key elements in their article “The New Second Tallest Tower in the World is an Urban Green Space Wonderland”. Following in the footsteps of the landscape design for the tallest building in the world, Burj Khalifa, SWA’s design of the new Urban Landscape for Shanghai Tower is getting national notice. The landscape network extends past the ground level and into the building itself establishing whole city-park scale open spaces every 14-floors, each one taking on a different landscape characteristic. 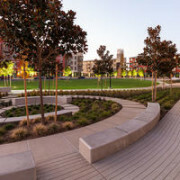 The design creates Tower Park to complement the building’s iconic form and function, connect the mixed-use project with its urban neighborhood, and provide a variety of beautiful settings for public gatherings and celebrations. 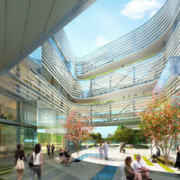 The project’s LEED-Gold certification requires 33% green cover-a unique challenge given the size of the building and amount of hardscape involved. SWA designed an informal greenbelt and a park connecting to an adjoining property, yet 90% of the landscape is on-structure. 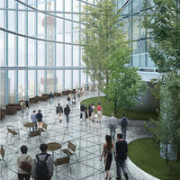 Features include an event-center roof garden, a sunken garden that includes a bamboo island within a water pool, and dramatic sky gardens for each atrium that repeat plantings in a vertical pattern to draw the eye skyward and accentuate the tower’s unique open-ended spiral form. 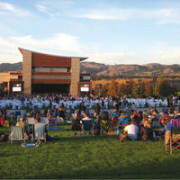 Opening up to the community surrounding the University, Weill Lawn and Commons, set to become the Tanglewood of the West, is the outdoor amphitheater and terrace venue that accompanies the Weill Concert Hall at Sonoma State University. The landscape setting is that of native plant materials found in Sonoma County from the stately coasts redwoods to the Christmas Berry, all set within the adjacent farmsteads and the Sonoma Mountains to the East. Also newly open is the Centro Roberto Gaza at the Universidad de Monterrey. Marking the first stage of implementation of SWA’s landscape master plan, the fine arts building, designed by Tadao Ando, refocusses a car centric campus into a pedestrian friendly environment. Rene Bihan recorded this video while he was in Monterrey for the opening ceremonies. The Suzhou Center is a landmark urban space within the Suzhou CBD. The project embodies the spirit of Suzhou as a gateway for intersecting old and new cultural and historic heritage. 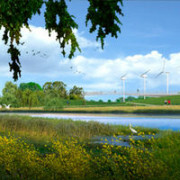 It will help the city become a garden city where high density development and ecological conservation combine perfectly. The state-of-the-art sustainable development measures will become a paragon for responsible urban development. 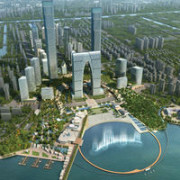 Through consistent planning of public open spaces, and leveraging the central location of the Huxi CBD and the high-quality landscape around the Jinji Lake, the urban landscape of the CBD will be seamlessly linked to the waterfront open spaces in order to create a unique environment in which natural greenery is in harmony with the urban setting. The design provides outdoor recreational spaces, of various levels and types, to facilitate the interaction and communication among people as well as between people and environment, and to create an urban center that serves residents and visitors alike. SWA served as land planners and landscape architects for this new science satellite city, Bionic Hill, to be located on former military lands west of Kiev, Ukraine. The 147-ha (360-acre) project incorporates a business campus for commercial office and R&D/incubator uses integrated with a hotel/conference center, university buildings, a retail-oriented Main Street, and a variety of neighborhoods offering housing, schools, and parks. Strong open space and circulation networks foster walkability and enhance the site’s forest character, creating a high quality and sustainable mixed-use community in which to work, live, play and learn. At build-out the Techno-Park will accommodate approximately 10,000 residents and 35,000 employees. LA hosted this year’s Summer Internship Program in which students re-imagined the now concrete LA River. Garnering much press, the student’s work can be seen featured in the Architects Newspaper Blog, on Archinect, Curbed-LA, and local station KCET. Gerdo Aquino and Ying-Yu are also teaching an option studio at Harvard GSD this fall entitled “A New [Landscape] Infrastructure for Los Angeles” which will examine 14 sites along the LA River to expire new open space typologies that could be applied. Is architecture static? We don’t think so. We see our designs as fluid objects and places that are dynamic with movement and life. Being able to express this idea in the built form is the challenge of our daily work, but a challenge that inspires us to think in extraordinary ways about how we live, work, and play. 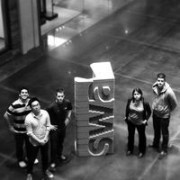 SWA’s Dallas Office created an installation for the AIA Dallas Retrospective this year. With “Contours” we wanted to express the idea that what we do is artistic, but that it also has a basis in nature, and that the sustainable aspect of our practice is at our collective core. The result is an organic object that is rhythmic and sculptural with visible lines that abstractly depict the contours of the land. 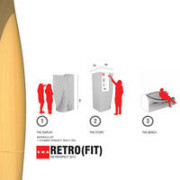 The material is a recycled product that is also recyclable – an its purpose is also recyclable: in its vertical form it’s a marketing piece, an when laid on its side it is a bench. The Los Angeles and Laguna Beach Offices gathered at TreePeople’s headquarters in Beverly Hills earlier this year to participate in an arbor training workshop tailored to landscape and design professionals. The Laguna Beach office is using these skills for the Inglewood/Lennox Greening Plan and Watts House Project, both of which are part of our Social Impact Design Initiative which led SWA to join Public Architecture’s 1% program earlier this year. SWA WORKS – NEW MONOGRAPH – COMING SOON! We believe landscape must go beyond simple problem solving and push the boundaries of what is possible given the realities of budget, politics, environment or cultural influences. We seek to understand the needs and aspirations of people in the landscapes we design at the variable scales of a plaza, a street or an entire city. “Landscapes for People” is a new publication that highlights our work across all seven offices in an attempt to elucidate unique solutions to pressing issues around the globe. 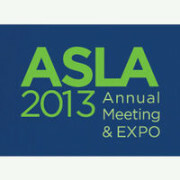 SEE YOU AT THE 2013 ASLA CONFERENCE IN BOSTON! Be sure to check out the three sessions at the the annual ASLA Conference hosted by SWA. On Friday, SWA’s Matt Baumgarten, the Houston Parks Board, and Houston Parks and Recreation Department will present “Bayous Greenways: An Urban Park System Like No Other”. Saturday, SWA President, Gerdo Aquino, will present “Large Firm Roundtable: Big is the New Small”. Monday, Chih-Wei Chang will be presenting “Appropriate Interventions in Making Vernacular Stormwater Infrastructure” and Natalia Beard, Kinder Baumgardner, and Michael Robinson will be presenting “Land Candy: The Antidote for a Profession That Has Lost Its Wit”. Congratulations also goes out to the seven new associates, Amy Benoit Harbert (Houston), Henry Dalton (Dallas), Al Dewitt (Sausalito), Grace Gao (Los Angeles), Josh Lock (Houston), Mandana Parvinian (Sausalito), and Peng Xu (Houston). Two waterfront projects, City/Park Hybridized (Changsha Liuyang River Waterfront Park), and Ningbo East New Town Eco-Corridor, received National Honor Awards in the Analysis and Planning category. Also winning an honor award in the same category is the Museum of Freeway Art; the project seeks to bring a pedestrian level to existing freeway infrastructure in Atlanta as well as provide for a new urban forest. Each of these are ambitious projects to implement and winning awards will certainly help garner support for their anticipated built futures. SWA WINS SIX MIPIM AWARDS! The MIPIM Asia Awards recognize excellence and innovation in Asian Real Estate Development. SWA won two awards for Best Chinese Futura Mega Project for “Nanhu New Country Village Master Plan” and “The Habitat”. Sequis Tower, in Jakarta, won an award for Best Futura Project. Dai Nippon Printing Ichigaya Factory Redevelopment, in Tokyo, won Best Futura Mega Project. Pearl River Tower, in Guangzhou, won an award for Best Innovative Green Building. Lastly, Jing An Kerry Centre (Kerry Jing An Center) won for Best Mixed-Use Development. 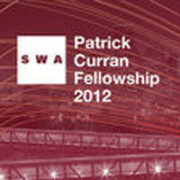 There were three winning selections for this year’s Patrick Curran Fellowship Program at SWA. Chris Hardy and Justin Winters’ “Ecodistrict 2.0” aims to explore the next generation of ecodistrict thinking. Shannon Scovell and Jean Pierre Casillas are researching “Public Art Interventions” both in built SWA projects and in other design precedents. And Zhongwei Li will explore “Landfill Parks in China”. The fellowship is a paid employee program for research and innovation, awarded annually to outstanding employees to fund research and development. Stay tuned for more information as the fellowships wrap up this fall. Meanwhile, you can view previous fellowship winners and projects here.